Diffusion bonding is a solid state joining process first developed for commercial use in heat exchangers by Heatric in the early 1980’s. Diffusion bonding allows for the creation of compact heat exchangers with exceptionally high performance. This process involves the bonding of flow plates in a heat exchanger ‘stack’ using a high temperature, high pressure process with no melting or deformation of channels. The size and shape of the flow paths is maintained, ensuring flow integrity and complete bonding of all plates throughout the stack. The interfacial area between two metal flow plates becomes welded together as atoms intertwine with one another and this allows for the incredibly precise construction of the internal flow passages within the block. No brazing flux or filler is used in the diffusion bonding manufacturing process which is a contributing factor to the high-integrity, high-strength, and exceptional heat transfer performance of Heatric’s diffusion bonded heat exchangers. 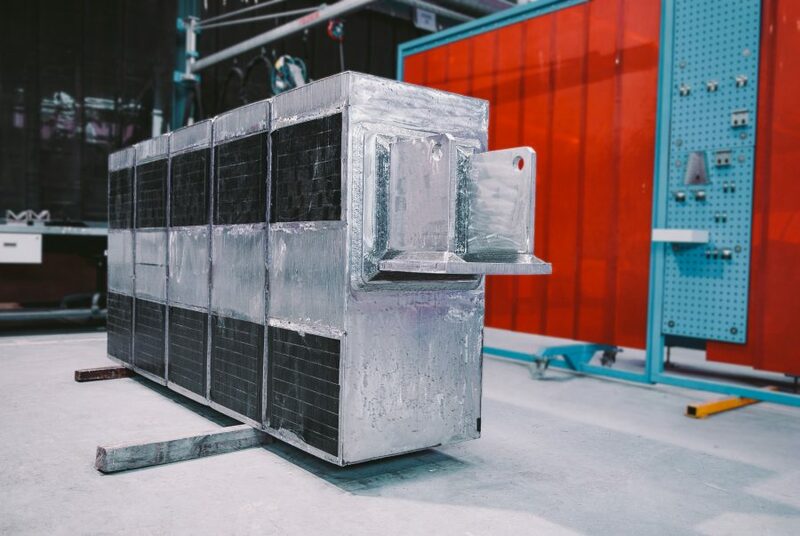 The solid, diffusion bonded block can then be subtractively engineered to match the client’s exact size and weight requirements, providing them with a highly effective, bespoke heat exchanger. Operating temperatures ranging between deep cryogenic to over 900°C/1,600°F.